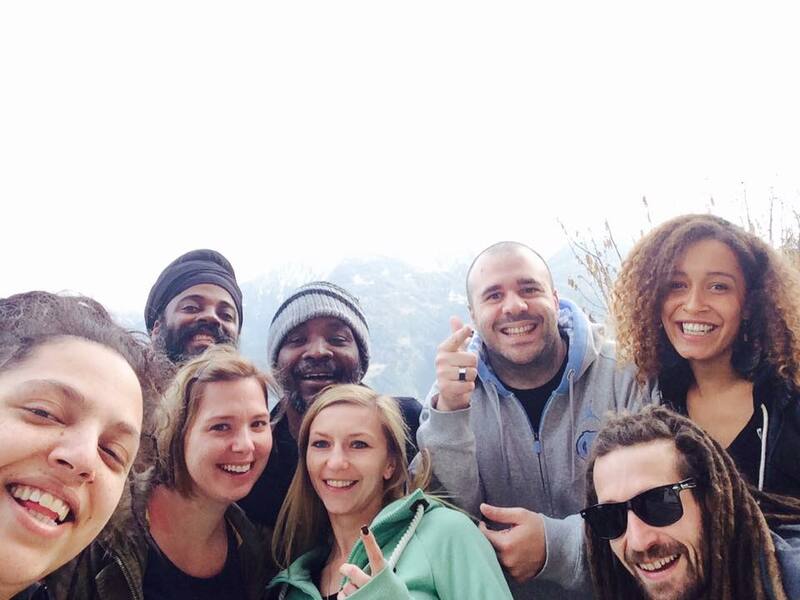 The recent visit to Austria for the 5th anniversary of the Riddim Bar located in mountainous regions of Austria called Telfs, was a resounding success. The entertainment package consisted of Skarra Mucci, I-Nity for Undisputed Records, Big Mama Sound and Teacha Dee as invited guests. Invasion Sound which hosted the event as the local reggae heavy weights represented for Austria. This event dubbed the “Mannheim Invasion” unofficially, was well received by the lovely people of Telfs, Tirol and other adjoining communities. The warm sunny weather was also a plus, as it did not hinder any0ne from enjoying the music from the islands. As was expected, Teacha Dee and Big Mama Sound delivered a powerful set in the opening segment, which was followed by a massive set from Skarra Mucci and I-Nity. The party fans were left wanting more way into the early hours of the morning when Big Mama sound on their second round hammered dubplates after dubplates with Invasion sound until the break of dawn. The patrons openly expressed their satisfaction with the performances, especially the final two songs of Skarra Mucci’s set. Skarra Mucci and Teacha Dee closed the live performance segment with Red, and Forward Inna the Dance. House of Riddim along with Giddimani Records will be releasing the much anticipated riddim compilation entitled ” Bay Area Riddim ” on February 12, 2016. This hard hitting Reggae composition has in it’s line up Perfect Giddimani, Teacha Dee, Ras Attitude, Young Shanty feat. Skarra Mucci, Menny More, Bobby Hustle, Robbie Rule, Dajure, Andi Ites, Don Tippa and Da Fuchaman. This release is expected to create a wave within the reggae scene. House Of Riddim delivered another classic riddim and the production team from Giddimani Records has assembled this project with a wealth of expertise. Stay Tuned. Dub Inc a frenched based band, has released a massive riddim compilation entitled ” Better Run Riddim”. This has some top caliber artiste such as: Kymani Marley, Morgan Heritage, VC, Richie Spice, Skarra Mucci, Esco Levi, Torch, Teacha Dee and Don Tippa as well as a single from the Dub Inc band from which the riddim got it’s name. The name of this new reggae single from Teacha Dee will have you wondering about it’s meaning. Normally one could read the name of a song and immediately have some idea of what the song is about. However, “Dwello” is exactly the opposite of this trend. This song can only be understood when you listen to its classic arrangement, done by Italian top producer GREEZZLY and the lyrics cleverly delivered. You will get a clear understanding within the few seconds of the punchline. 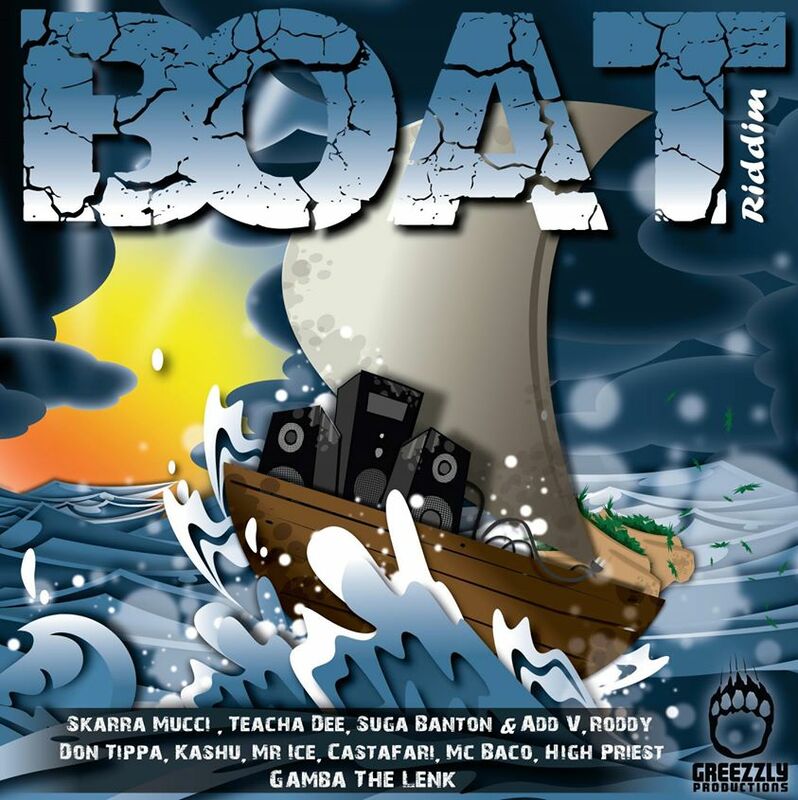 Italian producer Catchy Greezzly will release his latest riddim compilation entitled ” Boat Riddim” today,june 16th. This sampler features Skarra Mucci, Don Tippa, Gamba the Lenk, Mr Ice, Suga Banton, Add v, Castafari and more. Teacha Dee represented with a strong word to negative people commonly called “Haters” in the second track of this compilation. ” Forward inna the Dance ” another Teacha Dee and Skarra Mucci hit. What may be termed as one of the most catchy dancehall reggae song to hit the market earler this year was produced by Italian brainchild Bizzarri Records and American based Itation Records. This riddim compilation entitled ” Swing Heavy Riddim ” has within it a very pleasant set of horn phrazes which would bring back the listener to a more eariler form of the ” Swing Easy Riddim”. This riddim however which is a more up tempo creation has represented itself as one of the most popular attempt at reviving the ” Swing Easy” vibration along with modern breaks and a warm bassline that will have you moving within seconds of hearing this compilation in your earphones or within your car. It is on this compilation you will find ” Forward inna di dance”. This is a pleading arrangement by two creative artiste which will bring you back in imagination to the time of the early eighties or even the late seventies when the sound system culture was vibrant and the parties were full of enjoyment and love. Beautifully sung with a perfect blend of both artistic styles, this song has a part for everyone and the crowd could join in at regular intervals to shout ” Hamma Hamma Hamma ” which is a popular European phraze which indicates how powerful and loved a specific vibration is. Take a Listen for yourself!! Just minutes into the 18th of January, as was promised ” Red ” hit the airwaves and free downloading platforms all over the internet.This wave of social sharing and promotion centered in Europe connected people from as far as South Africa and as close as Jamaica.This release which comprises of a hilarious video produced by Leonard Corbelli and its accompanying MP3 free give away, was shared with translation in approximately seven different languages within five social networks worldwide. The outcome of this endeavor will be evident in just a few weeks and already within its early hours there have been signs of massive support. It states in no uncertain term that the power to make or break a hit song exist with the people. 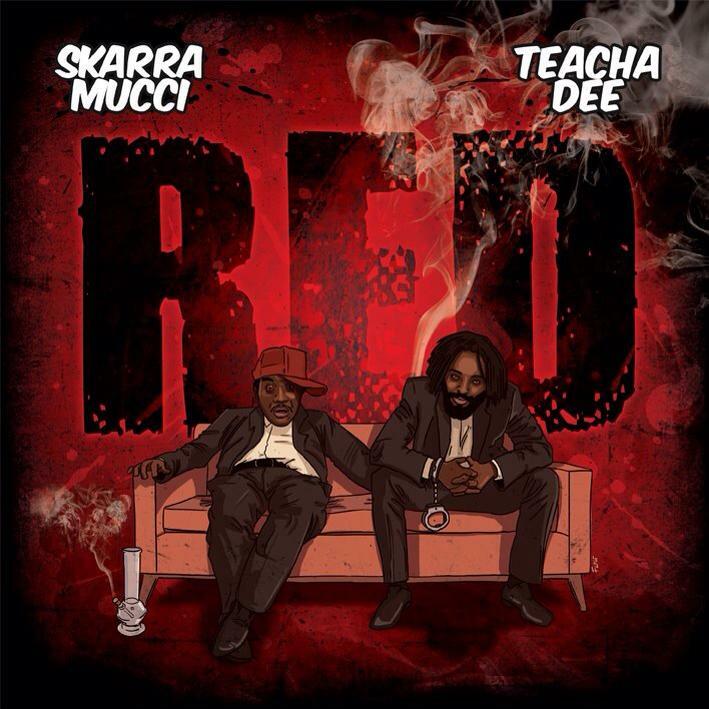 Teacha Dee along with European superstar ” Skarra Mucci” will release a hard driving dancehall rock single entitled “RED”. This track presents itself with a catchy hook sung by Teacha Dee and solid gangster style lyrics from Skarra Mucci. This weed anthem should create a stir within the European scene as Teacha Dee is known to have within his discography potent marijuana related songs. Coupled with the star power of Skarra Mucci this track maybe unstoppable. Along with this catchy track comes a hilarious video shot and edited in Germany, This song and video combo is slated to be released on January 18th 2014. The song will be available for free downloads everywhere.